Product description: James demonstrates how easy a Mini-Retractable banner is to use. James Zambrano, Project Coordinator at Heritage Custom Signs & Displays, demonstrates how to setup a mini-retractable banner stand. 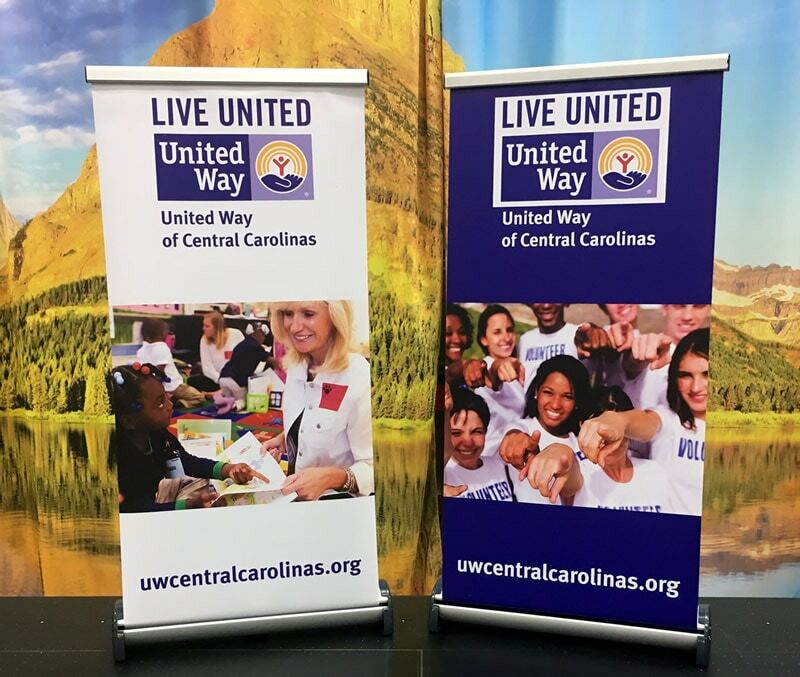 James has one of the two United Way table top retractable banner stands already in place on his table, and has, the more common, full-size, retractable banner stand as his backdrop. Retractable banners are the most popular signage we make at Heritage Custom Signs, the retractable-mini is proportionally sized specifically for tables at trade shows. All retractable-mini’s come with a nylon carry bag, James removes the mini and the support poles from its case. There are two support poles, insert the top pole into the bottom pole and secure it into the banner stand. Pull the banner up from its stand and attach to the support pole, it’s that easy! Take down and storage is equally as easy; un-attach the banner from the top support pole and it will retract into the base (much like a window shade). Detach the two support poles and insert everything into the carry case.